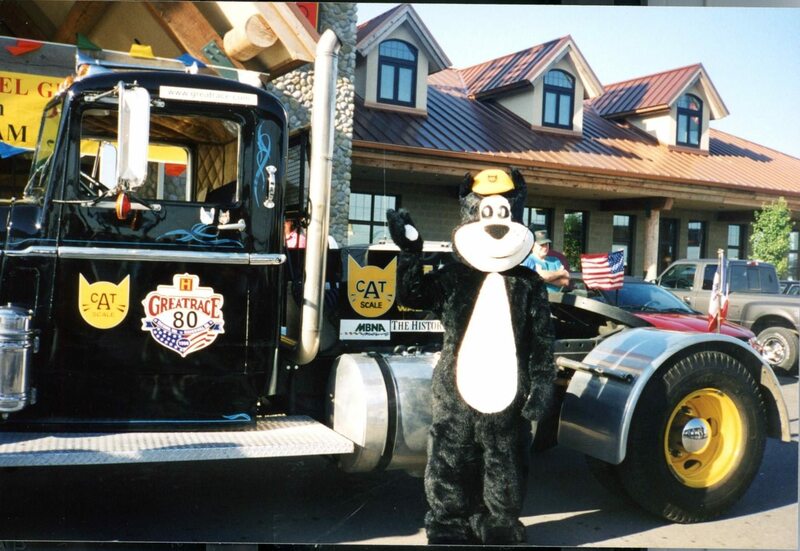 This is the famous Great Race truck sponsored by CAT Scale Company. 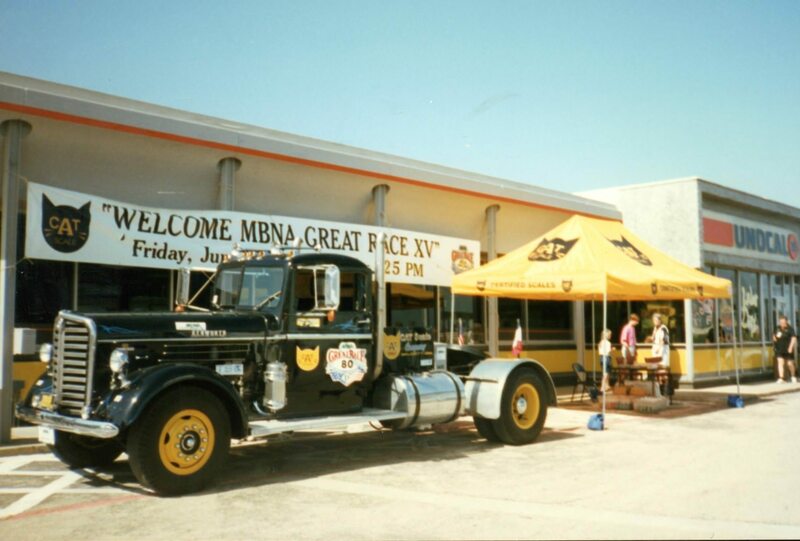 The truck has participated in a rigorous 4,500 mile, cross-country road rally each year since 1990. 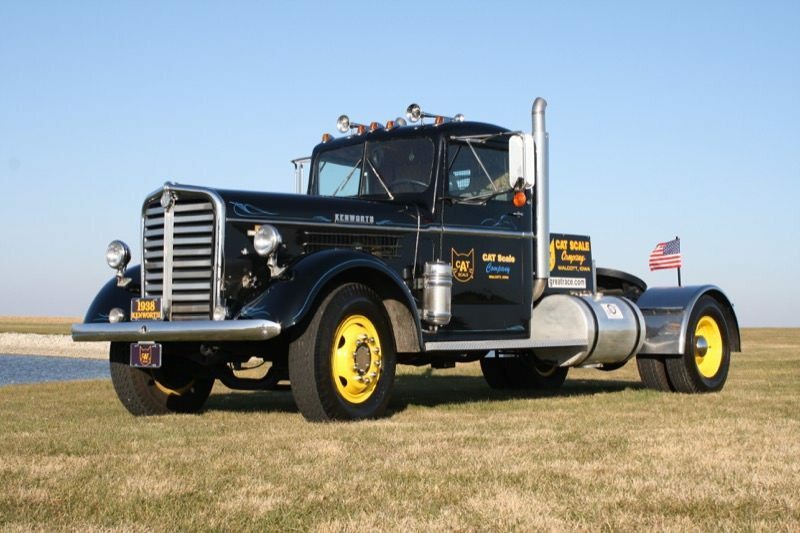 Look for the Kenworth at upcoming truck shows. Great News! 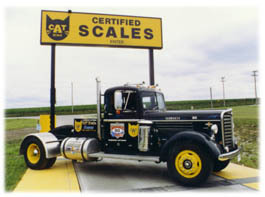 CAT Scale is now offering a Limited Edition 1/43 scale collectible replica of the 1938 Kenworth. Reserve yours today! 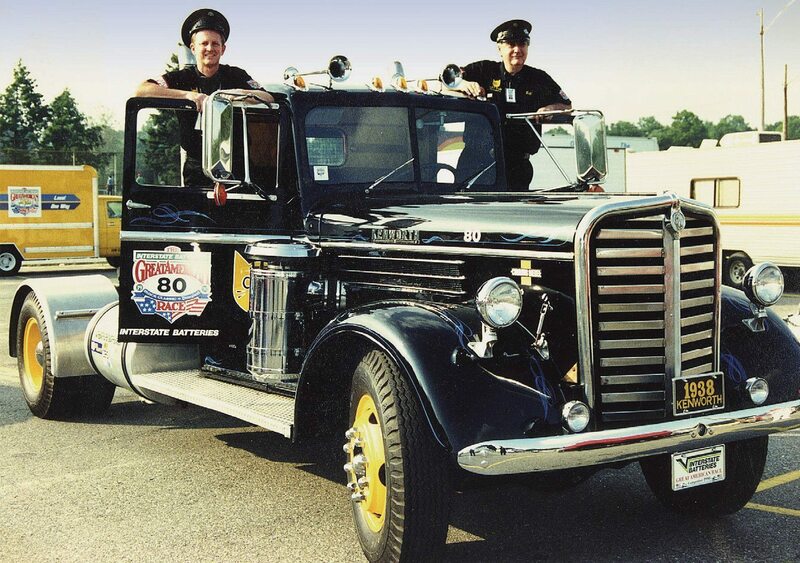 This 1938 beauty is also featured on our classic t-shirt honoring its longevity and on our new “We’ve Got Your Back” t-shirt. 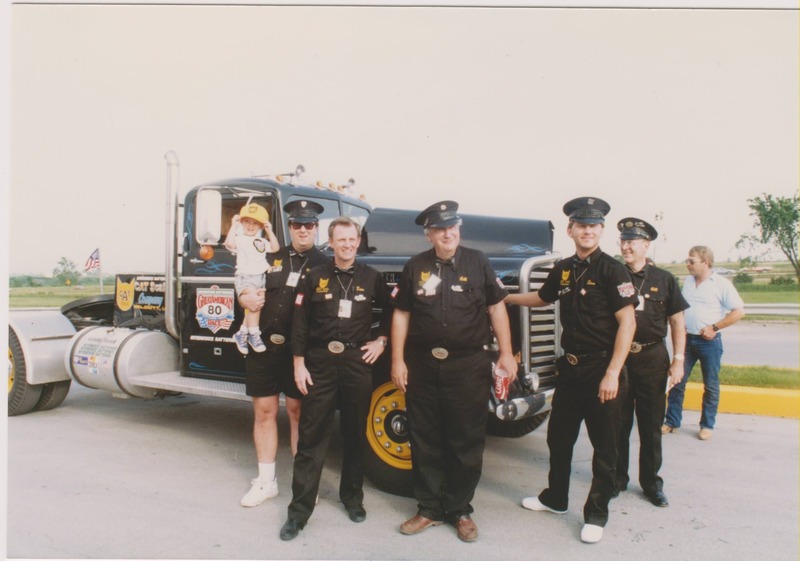 1990: First Great Race run. 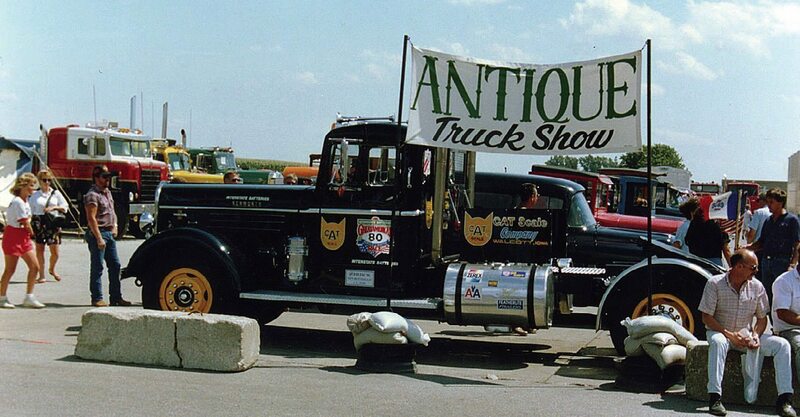 The 1938 Kenworth competes in the Sportsman Division and is entry #80. 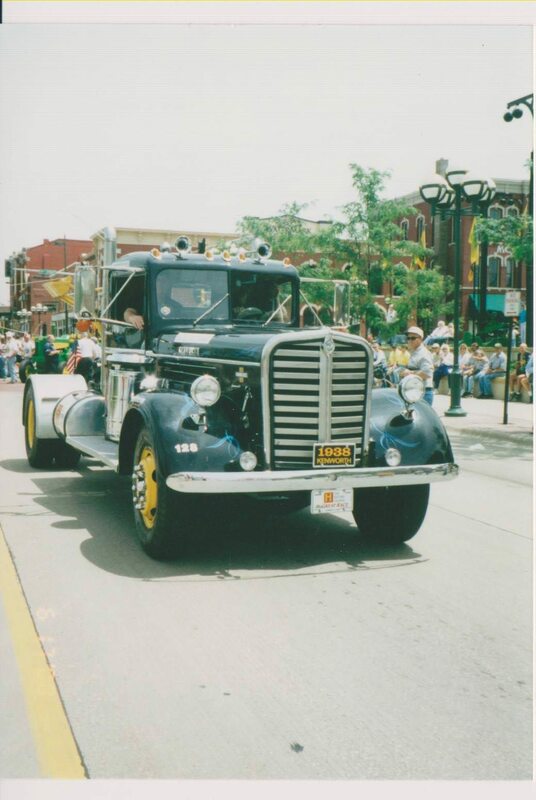 The Kenworth was built on May 7, 1938, and was used as a fire truck in Spokane, Washington until 1970. 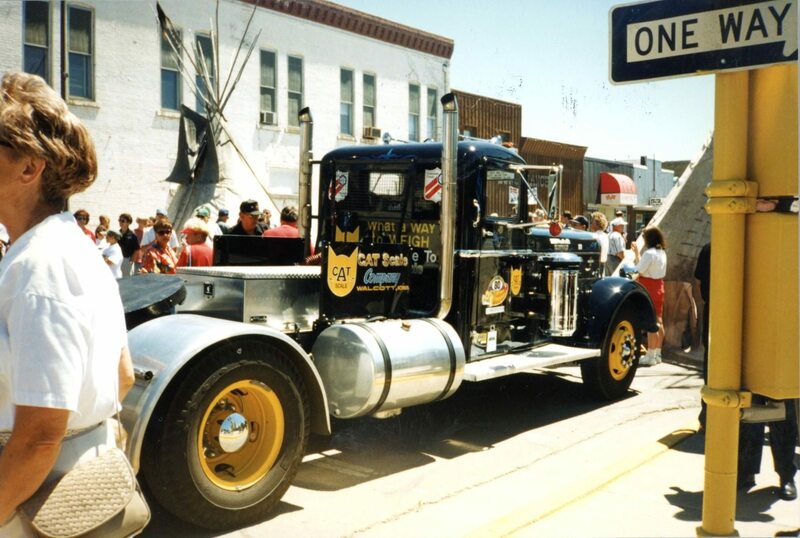 In 1983 it was fitted with the Supercharged Cummins HBRS. 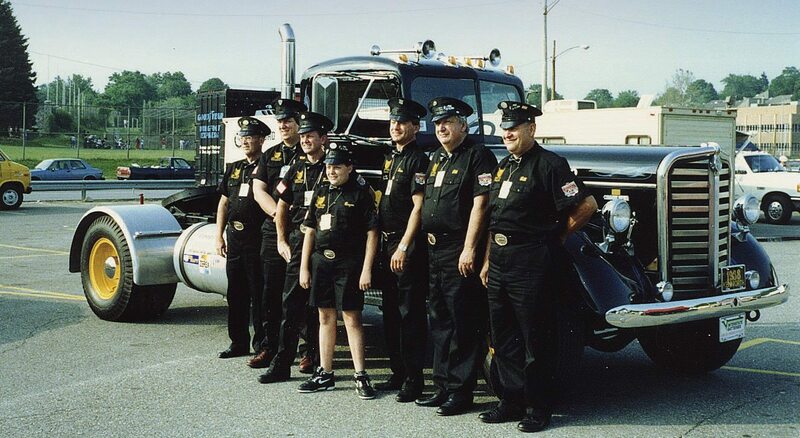 The old Kenworth has a top speed of 70 miles per hour. 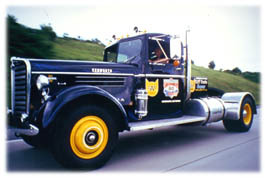 The Kenworth was originally equipped with a Hall Scott model 177 gasoline engine. 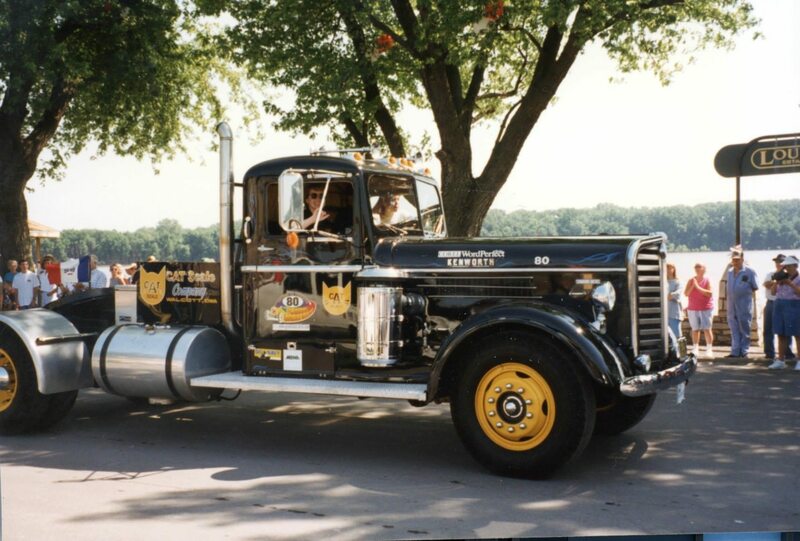 This engine was replaced with the Cummins, that is currently in the truck, when the truck was first restored prior to CAT Scale Company ownership. The Cummins is a model HBIS-600 with 175 horsepower at 1800 rpm. The 600 represents the cubic inch displacement of the engine. Right hand rotation. 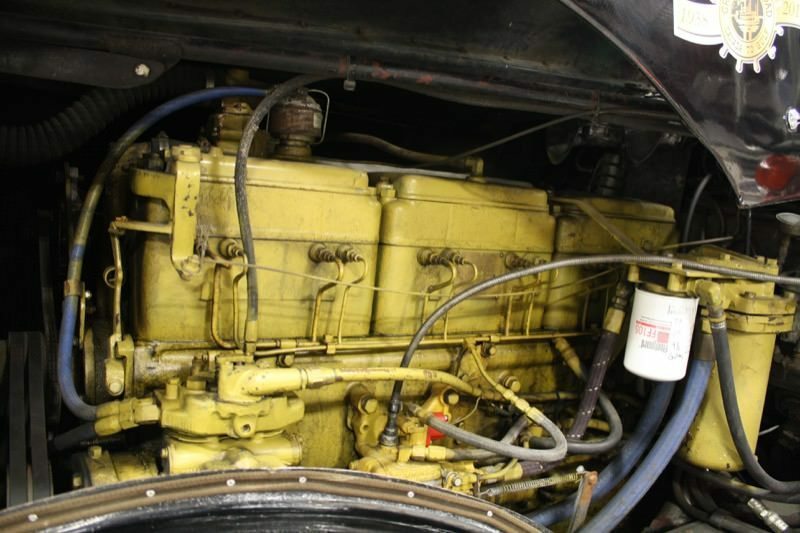 The engine was made on January 31, 1941. It has a belt drive supercharger that turns at 1.8 times crankshaft speed. At 1800 engine rpm it is turning 3240 rpm. 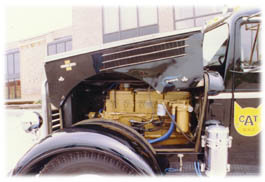 The supercharger was made by Schwitzer for Cummins. 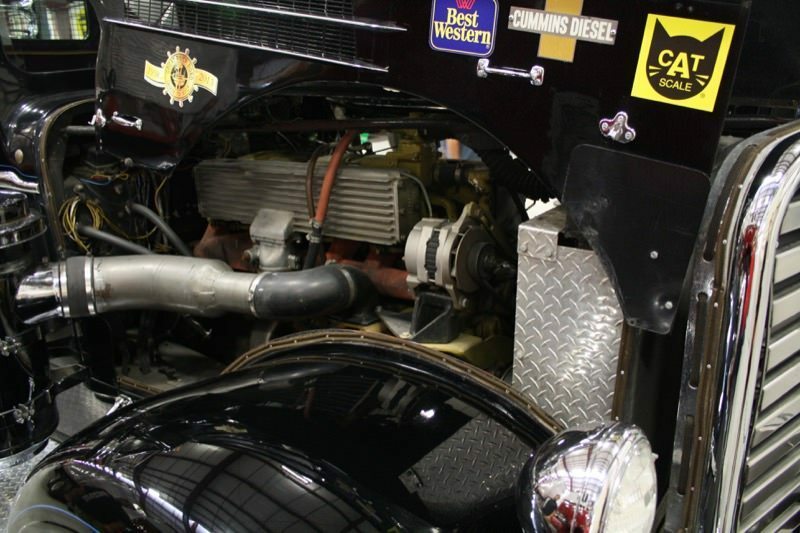 The supercharger gives the truck its distinct exhaust sound and was the forerunner of turbocharging that is used today.